Kaspersky announced that its researchers have found the most sophisticated Android malware which can be compared to Windows malware in terms of complexity. 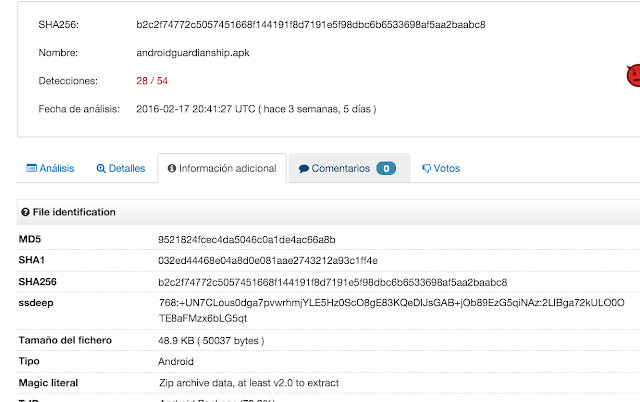 In a post from SecureList there is already some information about how this malware works. I have taken a look to a coupe of samples and there are few interesting points. Sample b2c2f74772c5057451668f144191f8d7191e5f98dbc6b6533698af5aa2baabc8 was detected almost one month ago. This sample did not work in two devices running Android 4.4 and Android 6.0.1 (although it is supposed that it should work with Android < 4.4.4). It perfectly worked in physical device running Android 2.3.7. Note that the size of the application is only 100KB once installed. The application doesn't execute after the installation, but only once the system has been rebooted. The application is not displayed the with the rest of applications. The application can't be stopped, only Uninstalled. After rebooting, the application starts doing its job. A new process is created (app_63) and lot of threads are spawn. Later on, it communicates with the C&C ph4.xiaoyisy.com using port TCP/8080. The file downloaded, OPBUpdate_6000.jar, contains 3 more files. There is one APK file and one .DEX file. 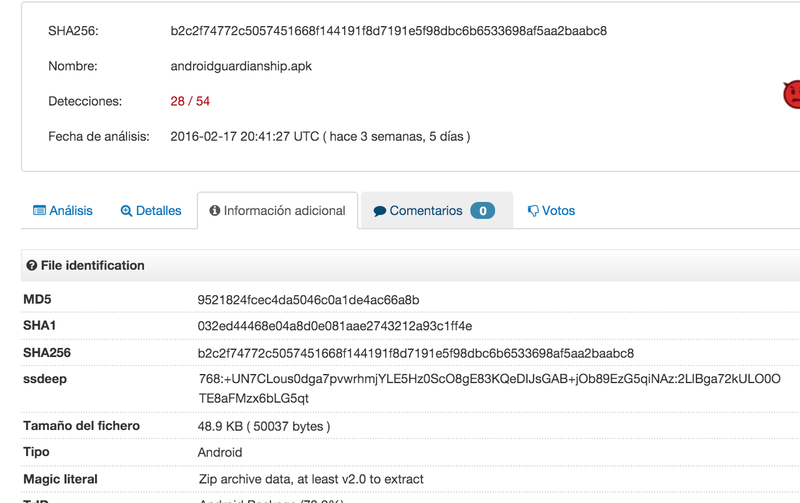 The APK and the DEX files are detected as malware as well. Once GloablBCServiceInfo.apk is installed, process com.bc.android.core.bcservice is spawned, there are new HTTP connections to the C&C, but this time to a different subdomain: ph2.xiaoyisy.com. Those two modules can hook applications using SMS and can send SMS as well. The malware doesn't work automatically, but just only after rebooting. Also, it doesn't display the application, hence it hides from the system. No option to stop it. Only to remove it. It downloads several other modules and APK inside a .JAR file. The C&C server are hosted in different subdomains. Some of the subdomains resolve to the same IP. This looks like kind of redundancy. The additional APK and modules are download from the same server.